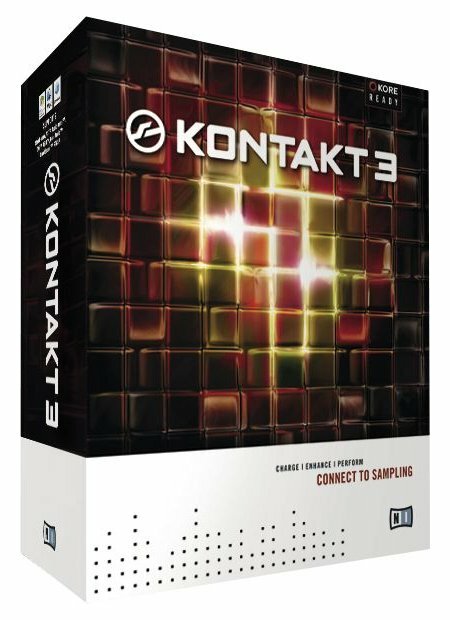 Kontakt 3, Virtual Sampler/Sample Player from Native Instruments in the Kontakt series. Native Instruments released Kontakt 3.5, a free update for its software sampler. Kontakt 3.5 is said to be fully compatible with Windows Vista 64, and to take advantage of 64-bit memory addressing to utilize practically unlimited amounts of RAM, NI says. On the Mac, Kontakt 3.5 introduces the new "Kontakt Memory Server" which can make use of up to 32 GByte RAM on OS X 10.4 and beyond. The software also uses a new "zero-memory" DFD technology for highly efficient disc streaming with a strongly reduced memory footprint, and true multiprocessor support now enables additional performance benefits on modern multi-core and multiprocessor setups, according to Native Instruments. The new Kontakt version displays all installed libraries and Kontakt Player instruments in a virtual rack, designed to give producers improved overview for even the most extensive sound collections. Further enhancements in Kontakt 3.5 include direct MIDI learn for sound parameter controls, improved automapping, individual bypass for effect slots, optimized Pro Tools compatibility on Mac OS X 10.5, KSP aftertouch interpretation, and a localized info pane in six languages. The 3.5 update is now available as a free download for all owners of Kontakt 3. More information on Kontakt 3.5 can be found at www.native-instruments.com/kontakt35.info. Akai MPK61 Akai announced the MPK61, the fourth model in the company's unique line of keyboard/MPC performance controllers. Waves CLA Classic Compressors CLA Classic Compressors consist of four plug-ins: the CLA-2A, the CLA-3A, the CLA-76 Blacky and the CLA-76 Bluey.